This unit was about 3"x7" and weighed about half a pound. It was, as described, easy to carry around in a pocket. 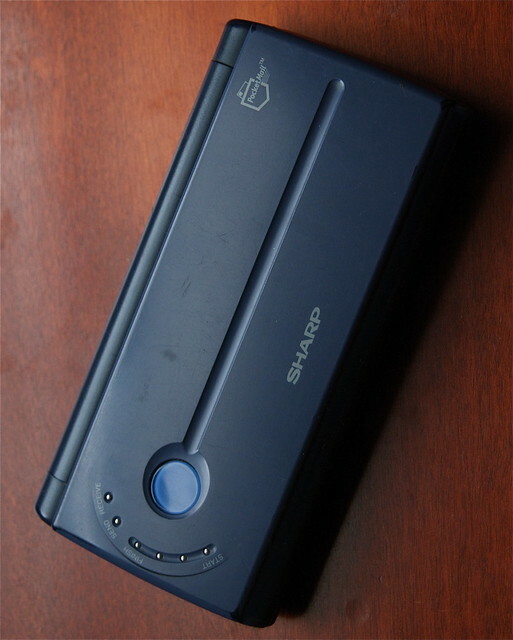 The outside top had a few indicator LEDs and a prominent send/receive button. Opening it up revealed a small but functional keyboard, an LCD screen for text only, and a few specialized function buttons for contact book, calendar, and mail composition. The functionality was pure genius. After composing an email, one closed the device and powered it off. 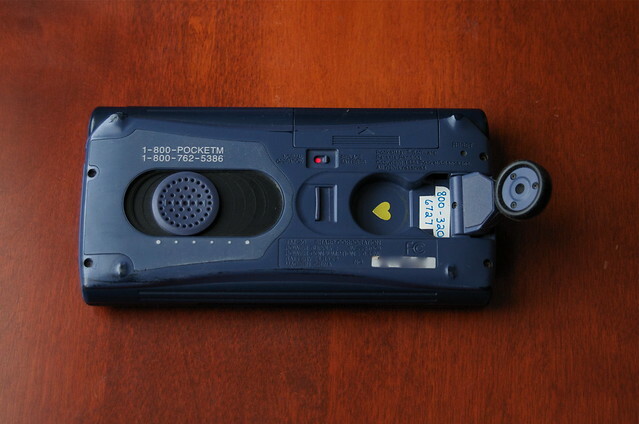 Then, using virtually any telephone (there were some problems with early digital cell phones) one deployed the built-in acoustic coupler on the back, dialed Pocketmail's toll-free number, and when the modem answered, pressed the send/receive button. The device would have an audible conversation with the Pocketmail modem and send your email(s), then retrieve and deliver any incoming emails to the device. For its intended purpose, it was brilliant. It also made a good travel alarm. I traveled for work a lot in those days (when long-distance phone calls were still expensive) and this was a very handy device to have. My wife also had one. Alas, as cell phones became more popular (we resisted for many years) pay phones virtually disappeared. It became more of a challenge to use my little Pocketmail device. 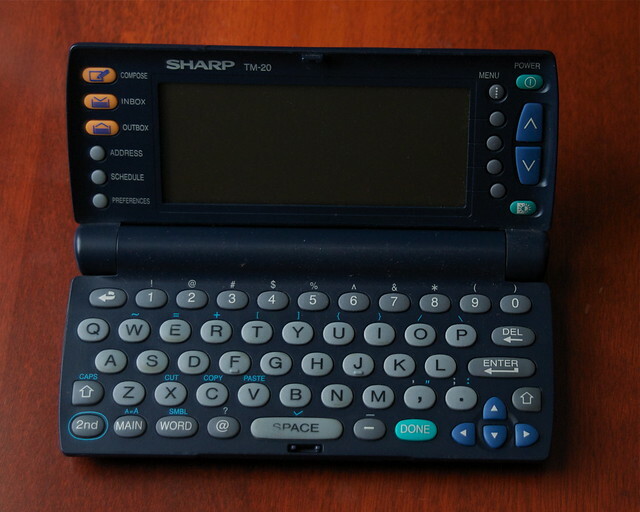 I was actually sad when I discarded it to the back of a drawer and the next device took its place.